We do it out of love. We care deeply about dogs — their happiness, well-being, and ensuring they feel loved. We are a member of their pack and they are a member of ours. Sharing an instant emotional connection with a dog is real and that is why we love them like we do. It’s more than the joy they bring to our lives. We look into their eyes and see them, sometimes more clearly than we understand our closest friends. If you’ve experienced a deep connection to one of the kindest, most loving creatures on this Earth, then you understand. And when it comes to their safety and protection, we’re first in line standing strong to ensure everything is right in their world. Although we want them to experience curiosity, wonder and adventures, we still need to know that those experiences are pleasant and safe. They are our world. 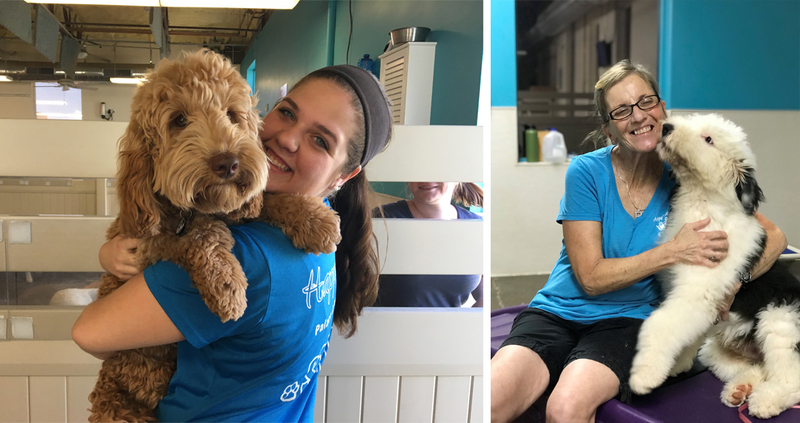 When it comes to creating an environment where dogs can be entertained, we understand many depths of care and love is required to keep our precious ones in a happy state of mind. 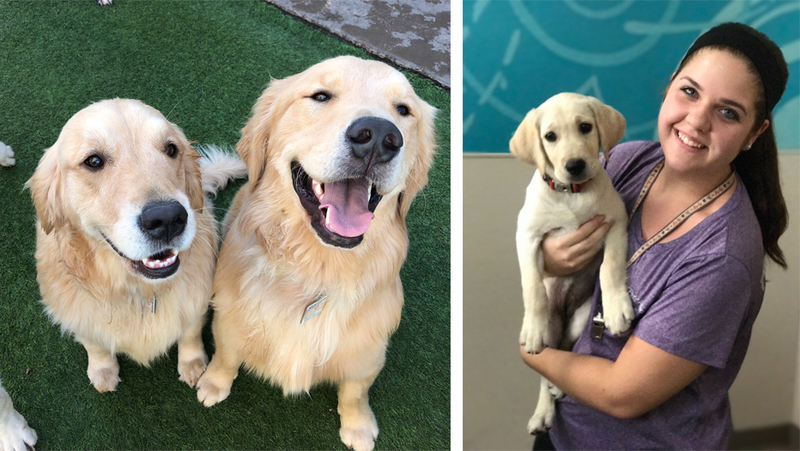 We wanted to open a place where over-protective parents could come and look behind the scenes, to know undoubtedly that it would be okay to leave their babies at doggy daycare and overnight boarding. When we worry about our dogs, our world doesn’t operate like it should. In fact, when something is wrong with our animals, our world stops. And we wouldn’t want to have it any other way, because it’s the core of who we are. 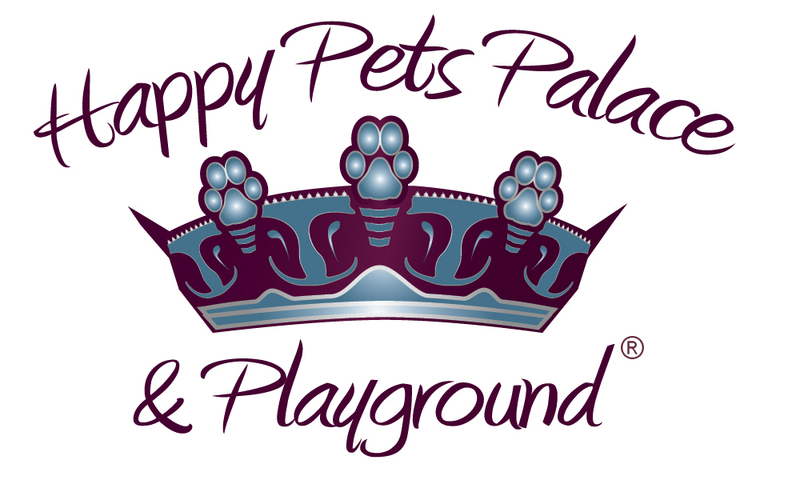 At Happy Pets Palace we bring joy, love, and entertainment to dogs. We let them experience a pack environment in our supervised play groups. We have witnessed older dogs getting a youthful burst of life again. It’s priceless! We have seen dogs who don’t engage in play but they find their place in the pack observing and having mental stimulation, and then get giddy. You see the happiness in their eyes! We watch dogs approach the building pulling their parents to the door because they are so excited to hang out with their friends and meet new ones. Yes, ours is one of the best jobs in the world! What we do is satisfying because we impact the lives of the dogs and provide parents a place for their dogs to be during the day. It really helps out if you’re working long hours or have plans after work. The benefit is your dog has played during the day and will need a nap when he gets back home. It’s a beautiful thing really. And knowing they are happy, safe, and entertained, helps us to be happy. Our new Happy Pets Royal Palace in Gilbert is exclusively for toy dog breeds and small dogs up to 20-pounds at adult weight. This facility, like our other facilities, has live webcams. You can download our free app to check in on your baby and see what they’re up to and who they’re playing with. Seeing your pup on live stream brings such peace of mind, and it’s pretty funny to watch them. We will be staffed 24/7 at our new Gilbert facility and the little dogs will have open slumber sleep style. Family private villas will also be available in case a slumber party doesn’t work for your dog. Please stop in to any of our facilities, take a tour and show us a picture of your love.